One glass dropper bottle contains 30 ml and is sold for 33,99 € on the website here. While I am a die-hard fan of dropper bottles (and yes, I know they are not airtight, but what can I say, I just love the apothecary feel they give me! ), this one does not convince. It might be I got a faulty one, but it seems to be leaking, leaving the bottle oily to the touch. This is an oily face oil, no denying that, not one that quickly sinks into the skin. 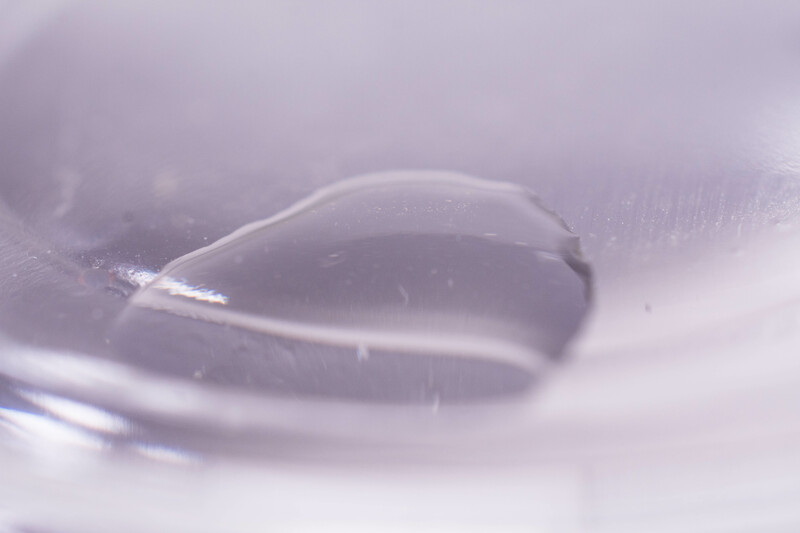 At the same time it is runny, which means that the pipette from the dropper bottle has difficulties to hold it in. Be quick, otherwise it will just start dripping on your tiles. The upside of this texture? It spreads like a dream. A few drops into the palm of my hand and then patted onto my face, no tugging needed, and great if you are into facial massage. While I do notice a faint rose scent, it mostly smells warm and slightly nutty, probably due to the Sweet Almond Oil. Because it is one of the richer oils, I tend to only use it in my evening skincare routine, and while dry skins might be able to use it throughout the day, I think the texture in general makes it more suitable for the night. 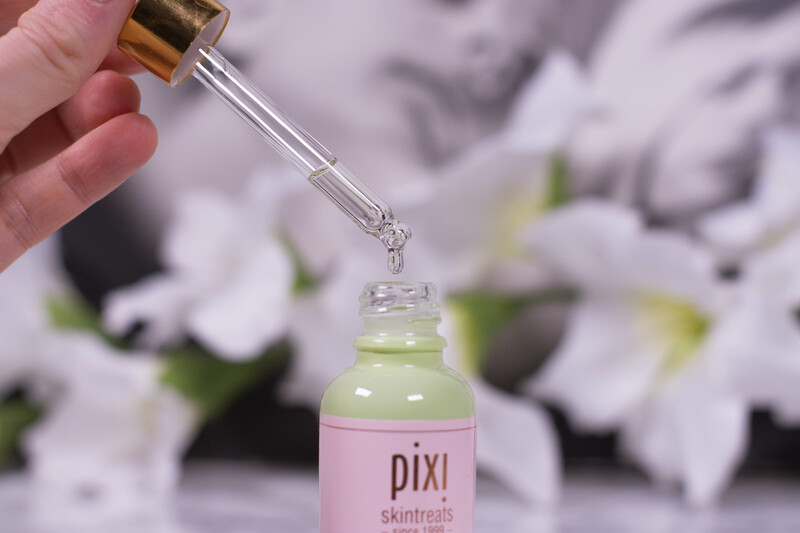 It works well applied directly after your serum or mixed in with your moisturizer (I like the pixi Rose Ceramide Cream for that). Added to your base products or used as oil for makeup blending it would probably give you intense glow, but I would only recommend that for dry skins. See this video for an application demo. As always with oil blends, the main benefit will be the emollient properties. (If you are unsure what that means, here is a blog post explaining it.) The other potential benefits of plant oils, like antioxidant effects and an increase in collagen production, are much weaker than they are in dedicated ingredients like L-Ascorbic-Acid or Retinol and are, for some, outweighed by the risk of irritation. I personally really enjoy not only the sensory, but also the olfactory experience. It is ultra-nourishing and it contains plant oils with antioxidant properties as well as Vitamin E, which lends to the rejuvenating and restoring claims. I wanted to throw that in there because some people struggle with the difference between rosehip oil and rose oil. Rosehip oil, also known as Rosa Canina Fruit Oil, is rich in linoleic acid (Omega 6) and is a natural precursor of Vitamin A. Rose oil on the contrary, as in Rosa Damascena Flower Oil, has no noticeable benefits for the skin other than the scent. As both face oils though contain Rosehip Oil, what makes them different? Well, the one by The Inkey List is very lightweight, more of a summer oil and very good for oily skin. This one, as mentioned above, has a thicker texture and is way more nourishing. 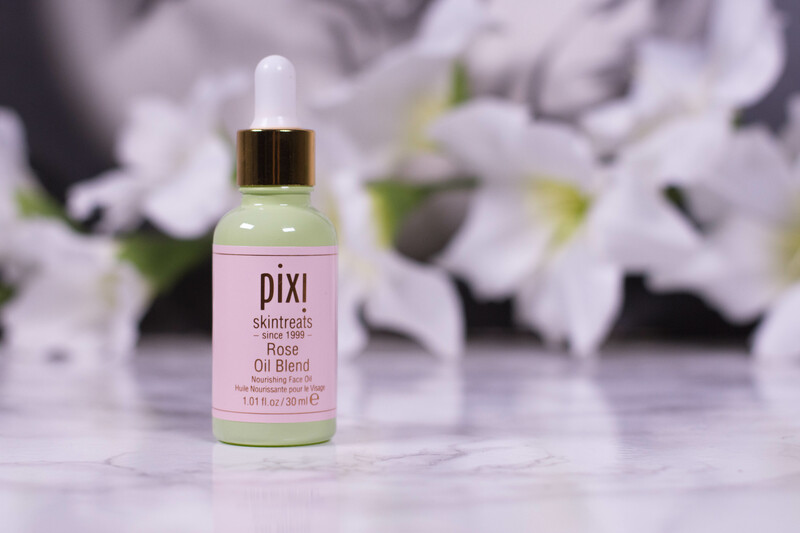 I prefer lighter oils for the most part of the year, and as I only need a few drops at a time I fear that the pixi Rose Oil Blend might go off before I get the chance to use it up. It is a lovely oil for dry and normal skins, and I can see it being beneficial in mature skincare due to its potential collagen increasing and antioxidant effects. 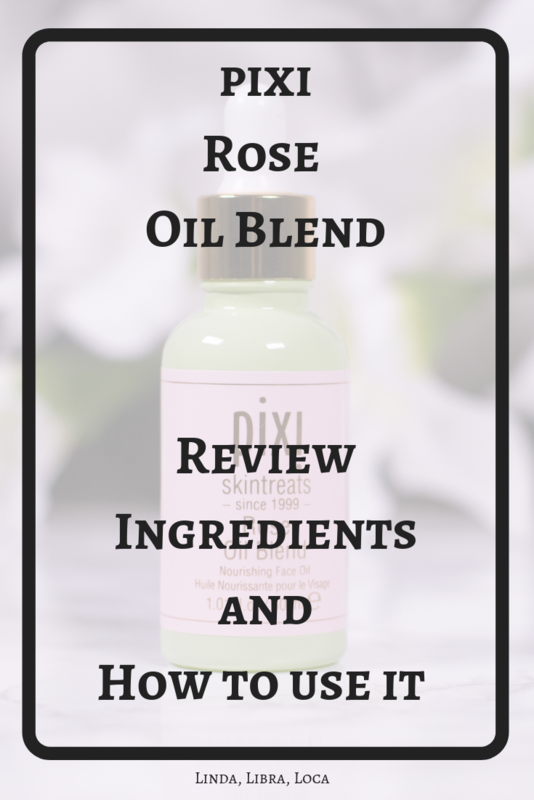 On oily skin the pixi Rose Oil Blend will work, but I recommend it more for the colder months and for night time use.